When it is grey and cold outside, it’s a treat to find comfort and warmth in the heart of your home, the one place all those hungry for mouth-watering meals and company gravitate to; the kitchen! Administer some colour therapy to the space by repainting your walls or kitchen cupboards. From soft shades of yellow, honeysuckle (the colour of 2011), to burnt orange (a colour believed to stimulate appetite and creativity) and fiery red (the colour of love); pick a shade that will immediately warm up your kitchen this winter. We found great cupboard painting advice here. Create a feature wall to display colourful artworks, the handiworks of your kids and/or treasured family photographs. 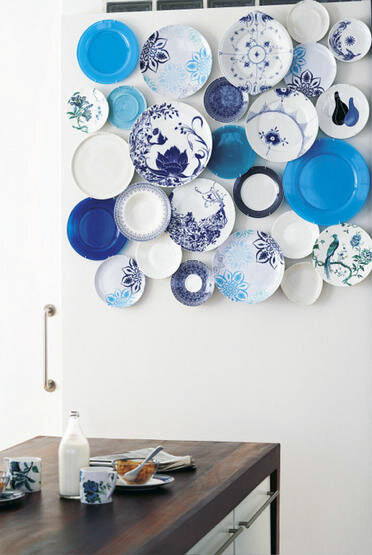 Serve up something different by hanging plates on the wall! But instead of hanging just one or two, hang a collection. Add glamour to the fridge by turning vintage brooches and earrings into decorative fridge magnets. Cut off the back of the brooch with a pair of wire cutters and add a magnet with strong glue or a glue gun. Turn fruit into works of art! Lemons look beautiful in a bowl and release a fresh lemon scent when touched. For a modern kitchen, fill cylinder vases with oranges or lemons and display as a set or spaced out throughout your kitchen. Make the most of natural light and the view out your kitchen window by installing stackable shutters. They are hardly seen when stacked and beautiful when closed, and they help insulate your home. Another great shutter option is our range of Decowood shutters. Manufactured from medium density fibreboard made from engineered wood composite (individual wood fibres), Decowood shutters are treated with the patented polypropylene, making them resistant to chipping, peeling or cracking. 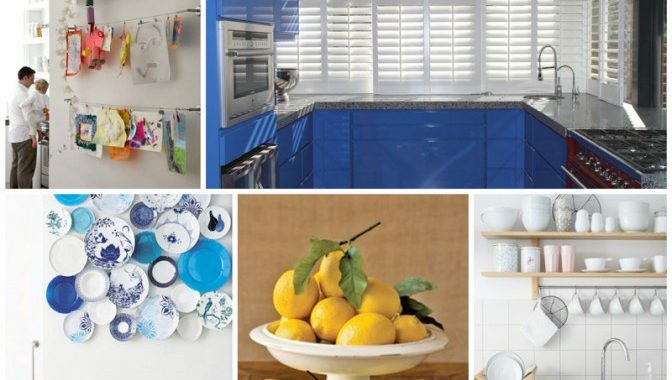 Our shutters can be custom colour finished to complement your unique kitchen style. And if you don’t have much of a view out your window, create one by fitting a window box outside and planting herbs you’ll be able to see and reach for from inside your kitchen. Changing the main light fitting is another easy and cost-effective update. And if you don’t mind calling in an electrician, down lighters installed in the ceiling can spotlight areas of a room and create the feeling of a high ceiling. An organised kitchen is a cook’s dream but for many, a small kitchen is a big challenge! 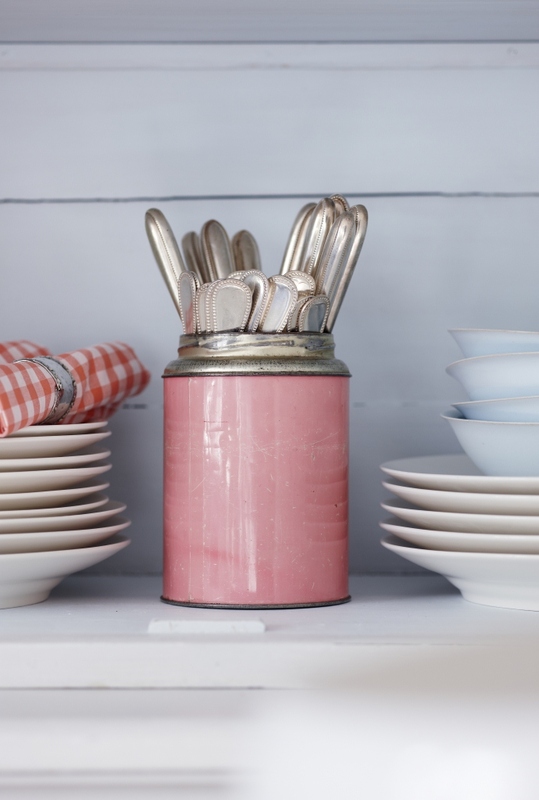 Spend a cold winter afternoon reorganising your kitchen; it will save you hours of frustration in the long run! Store regularly used items within reach and free-up cupboard space by donating appliances you never use to charity. Still looking for extra space? Open shelving is an easy, cost effective DIY update. Turn even a small open wall into a useful and eye-catching display by installing a shelf or two and stocking it with colourful crockery and interesting kitchen appliances. And that’s how you create a delicious kitchen. Bon appetite!